Logarithmic distribution: This can be found in extraDistr, VGAM, actuar	and gamlss.dist. Zero-modified and zero-truncated versions is provided in actuar. A fast random generator is available for the logarithmic distribution is implemented in Runuran as well as the &apos;density&apos; function. Zeta and Haight&apos;s Zeta distribution: provided in VGAM, tolerance. (non-central) Dunnett&apos;s test distribution: provided in nCDunnett. Friedman&apos;s Chi distribution: provided in SuppDists. Gamma distribution and its extensions: Base R provides the d, p, q, r functions for this distribution (see above). EnvStats provides d, p, q, r functions of the gamma parametrized by the mean and the coefficient of variation. actuar provides d, p, q, r functions of the inverse, the inverse transformed and the log gamma distributions while ghyp provides those functions for the variance gamma distribution. extraDistr and LaplacesDemon provide the inverse gamma distribution. VarianceGamma provides d, p, q, r functions for the variance gamma distribution as well as moments (skewness, kurtosis, ...). VGAM provides d, p, q, r functions of the log gamma and the generalized gamma distribution. The generalized gamma distribution can also be found in gamlss.dist. reliaR provides the log gamma distribution. See Pearson III for a three-parameter gamma distribution with a location parameter. flexsurv provides d, p, q, r functions as well as hazard (h) and integrated hazard rate (i) functions for the	generalized gamma distribution. coga provides d, p, r functions for a sum of independent but not identically distributed gamma distributions. MCMCpack provides d, r functions of the Inverse Gamma. Huber distribution: Huber&apos;s least favourable distribution provided in package smoothmest (d, r), and in VGAM, marg, extraDistr (d, p, q, r). Kendall&apos;s tau distribution: provided in SuppDists. Tukey&apos;s H distribution: provided as a special case of Lambert W x F distribution. Pareto distribution: d, p, q, r functions are implemented in VGAM for the Pareto distribution type IV (which includes Burr&apos;s distribution, Pareto type III, Pareto type II (also called the lomax distribution) and Pareto type I) and the (upper/lower) truncated Pareto distribution. In an actuarial context, actuar provides d, p, q, r functions as well as moments and limited expected values for the Pareto I and II, the inverse Pareto, the &apos;generalized pareto&apos; distributions, the Burr and the inverse Burr distributions, all special cases of the transformed beta II distribution. A fast random generator for the Burr and the Pareto II distribution is implemented in Runuran as well as the density. EnvStats and LaplacesDemon provides d, p, q, r functions for Pareto I distribution. extremefit provides the Burr, the Pareto II, mixture of Pareto I distributions and a composite distribution of two Pareto I distributions. 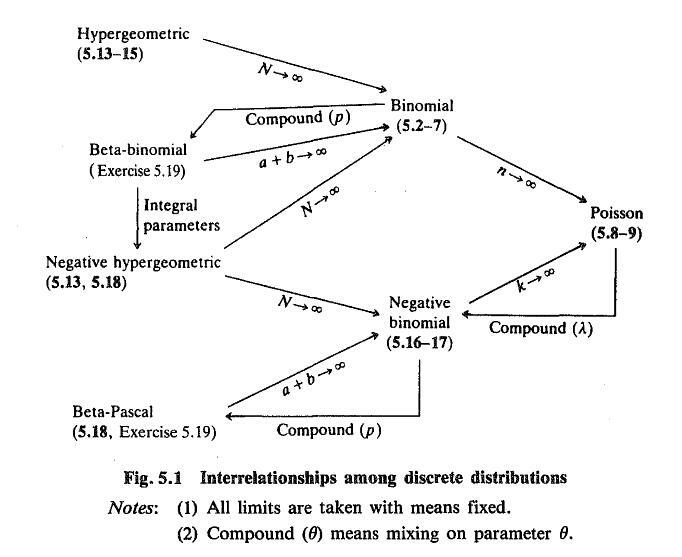 lmomco, evd, fExtremes, extraDistr, QRM, Renext, revdbayes, FAdist, LaplacesDemon, qrmtools and evir packages implement the Generalized Pareto Distribution (from Extreme Value Theory), which is depending the shape parameter&apos;s value a Pareto II distribution, a shifted exponential distribution or a generalized beta I distribution. ParetoPosStable implements the Pareto positive stable distribution. The extended Pareto distribution is implemented in RTDE and the shifted truncated (to unit interval) Pareto is implemented in mbbefd. ReIns provides Burr, extended Pareto, generalized Pareto, Pareto 1 distributions and their truncated version. Pearson&apos;s distribution: Pearson type III available in lmomco and FAdist. A log-Pearson type III distribution is also available in FAdist. PearsonDS provides the d, p, q, r functions as well as the first four moments for the Pearson distributions: types I, II, III, IV, V, VI, VII. Pearson&apos;s Rho distribution: provided in SuppDists. Planck&apos;s distribution: a random generator is available in Runuran. Spearman&apos;s Rho distribution: provided in SuppDists. RNG tests: RDieHarder offers numerous tests of RNGs based on a reimplementation and extension of Marsaglia&apos;s DieHarder battery. randtoolbox provides basic RNG tests.